Health & Wellness solutions made SIMPLE! Our mission is to provide solutions to promote an active and healthy lifestyle. Our coaching programs focused on personal health and behavior education to encourage wise lifestyle decisions. Our fitness, wellness and social events provide a platform that allows us the opportunity to share the fit and healthy lifestyle we call So XtraFIT. Join The Village! Our team of experts and entusicatic staff helps us stay connected. If you share in our mission and bring an upbeat, energetic team spirit to work...... We would love to hear from you. At So XtraFIT, we believe that everyone can BE the BEST version of themselves! Our holistic programming design focus on improving the overall physical, mental wellbeing of our clients. Stay connected to the fit and healthy lifestyle approach that we call SoXtraFIT. Stay ACTIVE! Be HEALTHY! and Have FUN with us! Register for our FREE community fitness series May - October courtesy of Downtown Partnership of Baltimore. Join the SXF TRIBE! 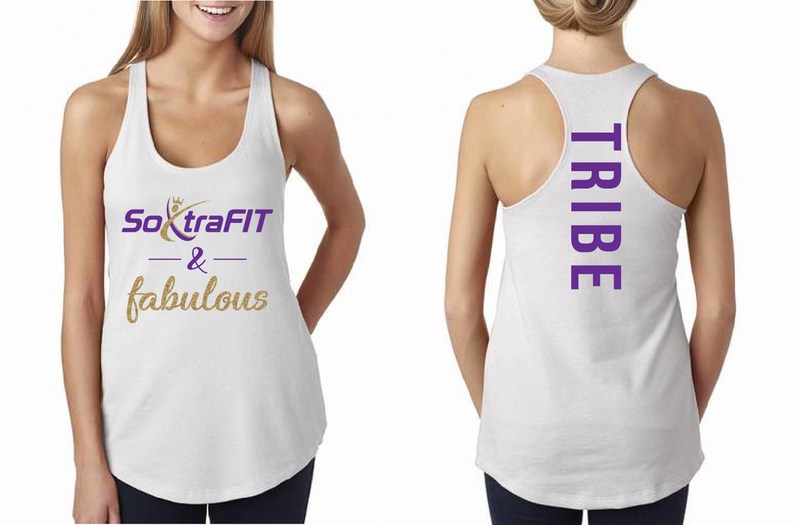 Visit our shop to purchase your SoXtraFIT & Fabulous apparel shirt TODAY! Our POP Up community program is a convenient and easy way to stay fit and healthy. Schedule a FREE phone consultation to learn more. Sign up to receive the lastest updates on health and wellness events, giveaways, special offers and so much more.